The Ecuadorian Embassy in London has finally been pressured to silence one of the biggest whistleblower and media activists of our time. In a tweet that got over 36k retweets early this morning, Wikileaks announced that CEO Julian Assange had his internet access revoked by a ‘state party’. Wikileaks later tweeted it was in fact Ecuador who had cut off his internet after the release of Hillary Clinton’s Goldman Sachs transcripts on Saturday. 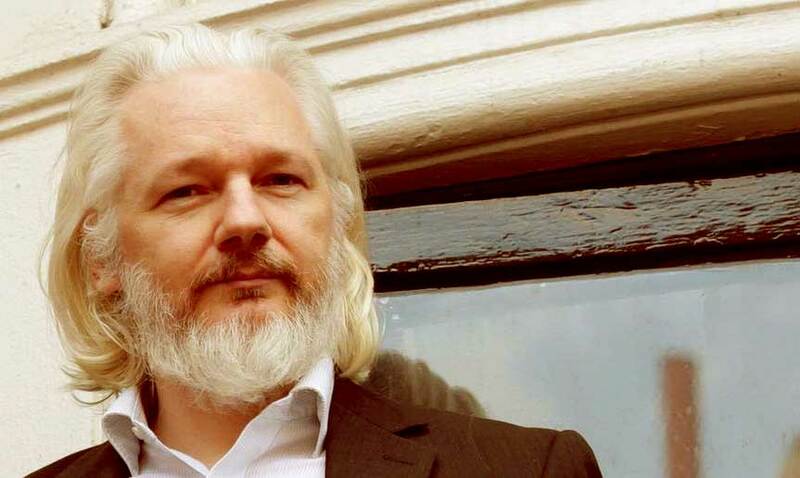 Assange, who has been in refuge at the Ecuadorian Embassy in London for over four years now after Sweden issued a warrant for his arrest alleging sexual assault, has not spoken publicly regarding this recent development and it’s likely we won’t hear from him anytime soon. However, his Wikileaks operatives are carrying out what they call “appropriate contingency plans” and should not be faltered or deterred from Wikileaks’ planned weekly releases, said to continue until well past the election on November 8th. Rumors quickly spread over the internet that Assange might have died, due to a series of tweets from the Wikileaks account late Sunday evening which included coded messages using sha256sum encryption, but a twitter account claiming to be the infamous hacker collective Anonymous explained to the public that these messages were not “dead man’s keys”. Clarification: Wikileaks tweeted out sha256sum coded messages, not deadman keys. Assange is fine as far as we know. Carry on. Wikileaks later confirmed that Assange’s internet had been cut by the Ecuadorian Embassy shortly after the release of the Goldman Sachs speeches. On the popular social media website Reddit.com, users of the subreddit r/Wikileaks have started a thread regarding the situation with a whole host of theories about the whereabouts and constitution of the infamous whistleblower, but nothing too substantial as of yet aside from reports that Assange “is fine” from those close to the embassy in London. A user from another subreddit supporting Donald Trump posted photos of the embassy and said there was higher than usual mail delivery on Monday, claiming to have spoken to neighbors about the activity and even snapping a few photos of government vehicles outside the embassy. The small country of Ecuador rests on quite the lucrative oil reserve at a whopping 846 million barrels of heavy crude oil right under their feet. Unfortunately, in order to dig up the oil, Ecuador would have to go through its extremely biodiverse and vibrant rain forest, one which is protected by various environmental advocacy groups. Ecuador’s oil reserves are basically untouchable for the time being and make the country have a hard time using it as collateral for their economy these days. This could be a good case for United States interventionists like Hillary Clinton to want to control Ecuador, considering it’s one of the few sovereign countries in the world who uses the U.S. dollar as its main currency.